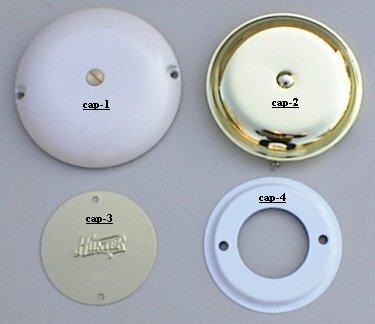 Ceiling fan parts - Switch housing cap for ceiling fans. The switch housing caps for ceiling fans will come in many different sizes. Measure the diameter or opening size of the ceiling fan switch housing and call us with this measurement.